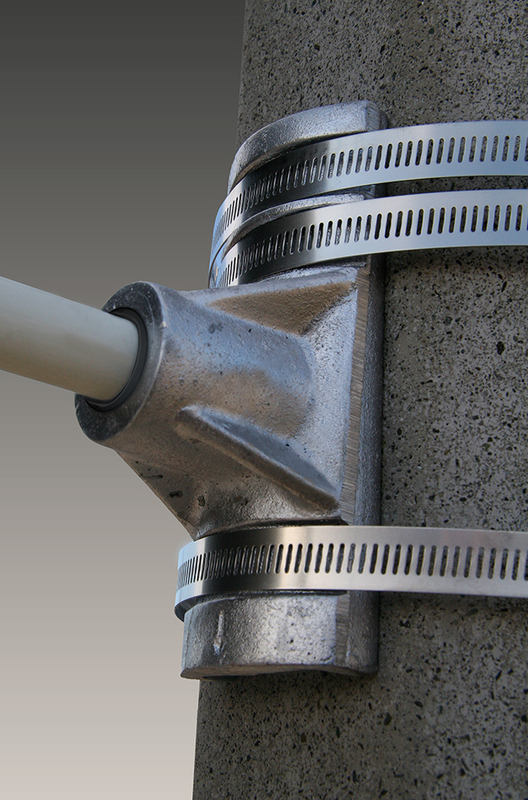 WindSaver Brackets are ideal for banners up to 72" long and are great for small profile poles. This bracket can be easily installed using our three band system, instead of two bands like many competitors. The third band ensures your banners and brackets stay tight on the pole and can be easily adjusted for height. 40" long ideal straps are included with the WindSaver Economy banner bracket system. These light pole banner brackets are in-stock and are usually ready to ship within 24 hours from Zane Williams. Black bands are available. Call us today at 800.395.2468 to order or fill out our Contact Form for more information about any of our stock light pole banner brackets and hardware.